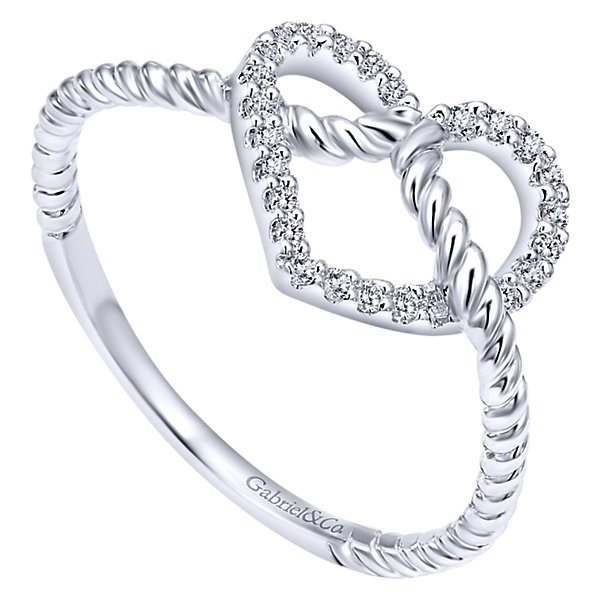 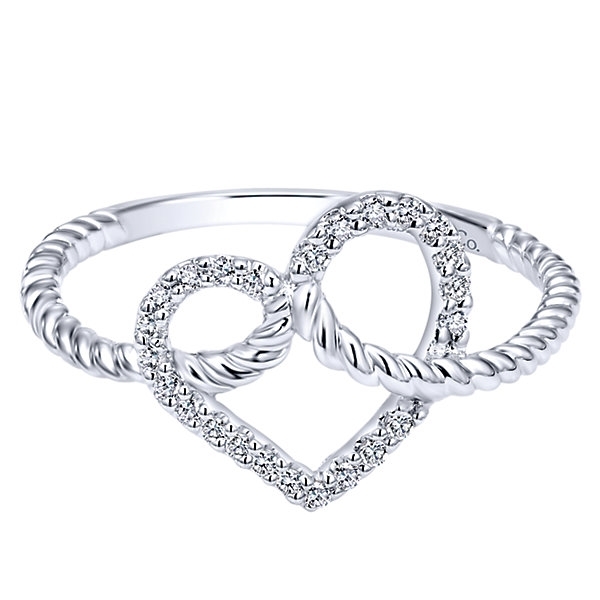 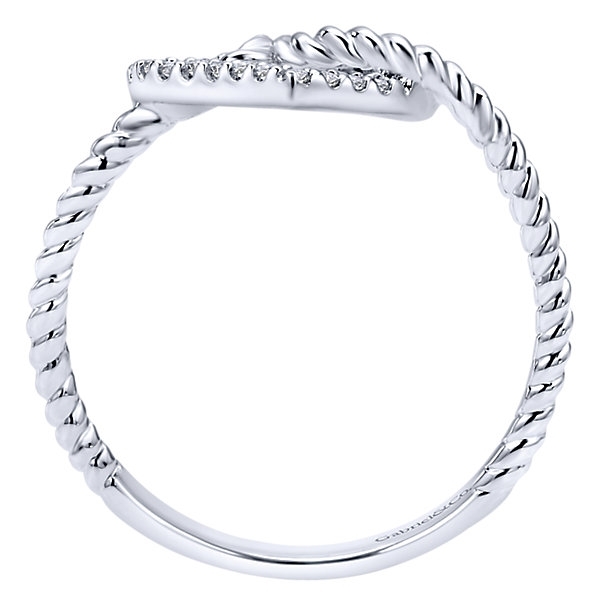 Love is on your finger with this beautifully braided diamond heart ring! 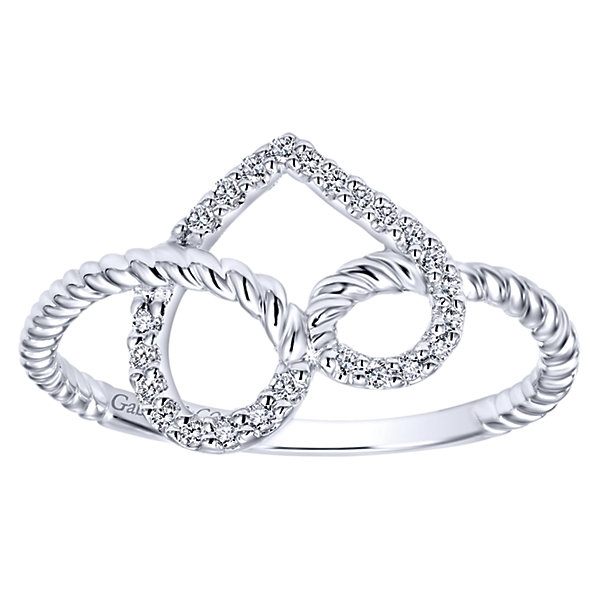 Featuring high quality round brilliant diamonds all in 14k white gold. 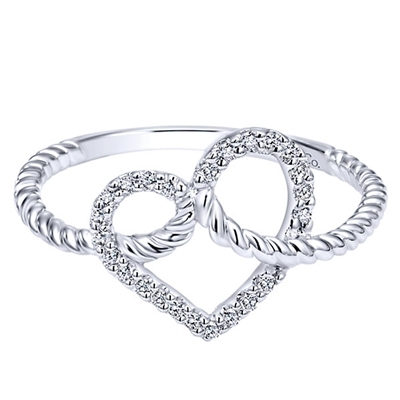 14k white gold braids together and twists to form a shining, diamond heart at the center of this white gold diamond fashion ring.